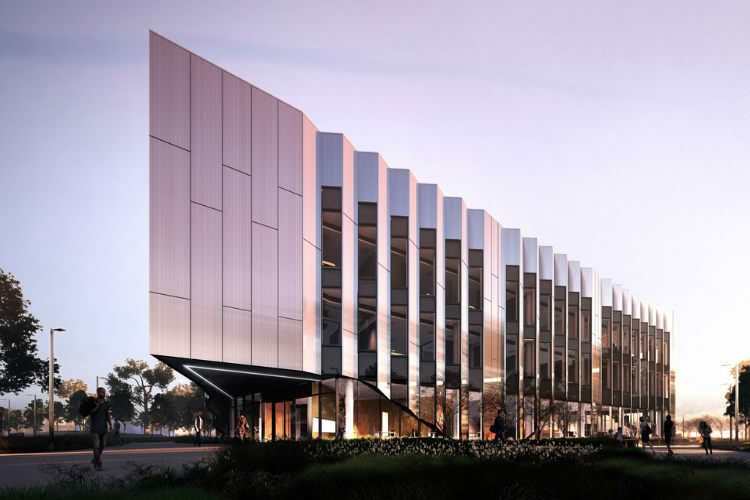 A state of the art simulated learning facility designed by Woods Bagot will offer TAFE courses targeting skills shortages in health, community services and trades in Melbourne’s bourgeoning west. Victoria University’s new Sunshine Skills Hub is planned to serve the area’s developing communities and support workers transitioning from a declining manufacturing-based economy into new jobs. By offering future-oriented vocational training, the new facility also takes vital steps to address the area’s above 18 per cent youth unemployment rate – which sits significantly higher than state and national averages. 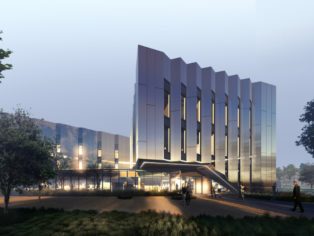 The building’s design centres on the practical side of learning that will complement the university’s trade training centre (Construction Futures) with courses designed to develop work-ready graduates in construction technologies, advanced manufacturing and health technologies, and health and community services. Purposefully designed to give students learning opportunities in simulation environments, the facility will be fully equipped with an impressive range of specialised teaching equipment including virtual reality goggles, robots, and computerised mannequins to replicate real-life scenarios. Nursing and community health labs, learning studios, and simulation hospital wards are provided for students studying paramedics, early childhood care, and counselling. The university launched a digital technology qualification last year in response to re-skilling the workforce for the changing job market. Specifically supporting this new qualification but accessible across all courses, a series of three innovation spaces will introduce students to agile and contemporary ways of working. 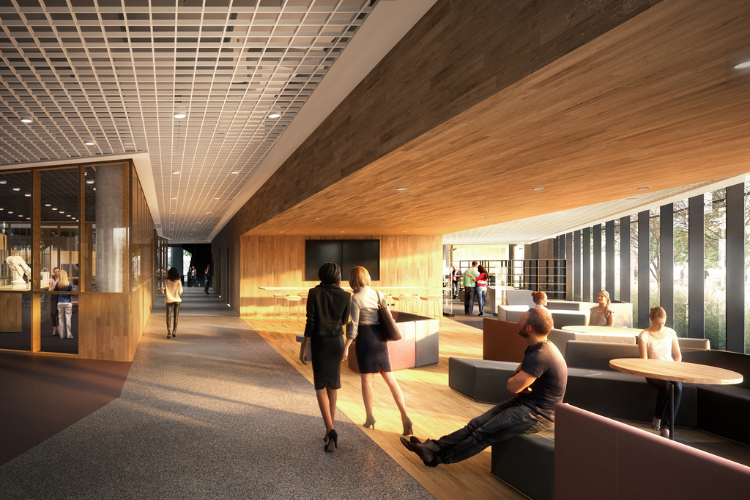 Visually connected, the ideation space, software centre and prototyping room allow students to move freely between them as needed. Kitted out with emerging technology such as large touch screen computers with the latest coding and 3d modelling software, the spaces will support collaboration in scenarios that develop lateral thinking and problem-solving skills to equip students for the future. 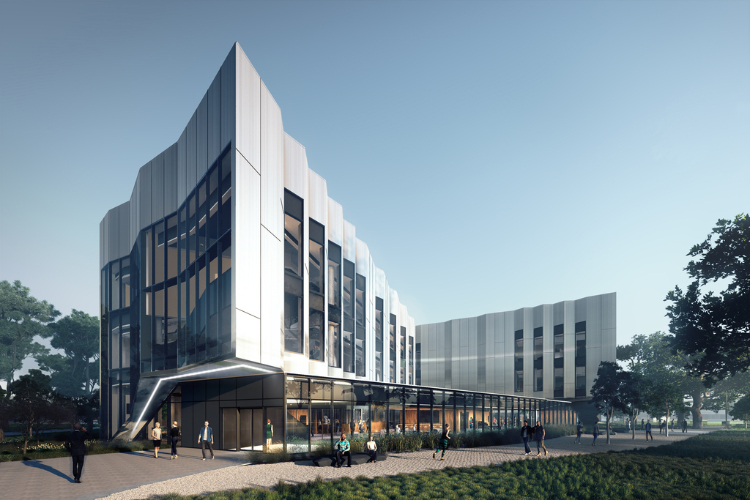 The overall design fills the hub with sunlight and employs a spatial planning system that provides spaces and facilities for students to take a ‘hands on’ approach to their studies. The progressive architectural and interior design of the facility improves and modernises the quality of learning, educational outcomes, and experience for students and visitors. Natural material in warm, neutral tones set up an intuitively comfortable and inviting learning environment. 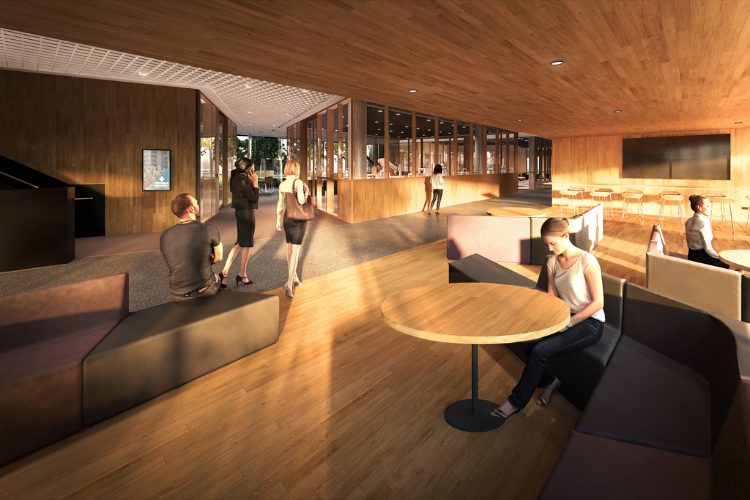 The three-storey Hub will also provide a campus café with a kitchenette for students, campus student services, staff accommodation for 20 employees, learning commons to house the book collection, IT and research support services, fixed computers and myriad informal learning spaces. 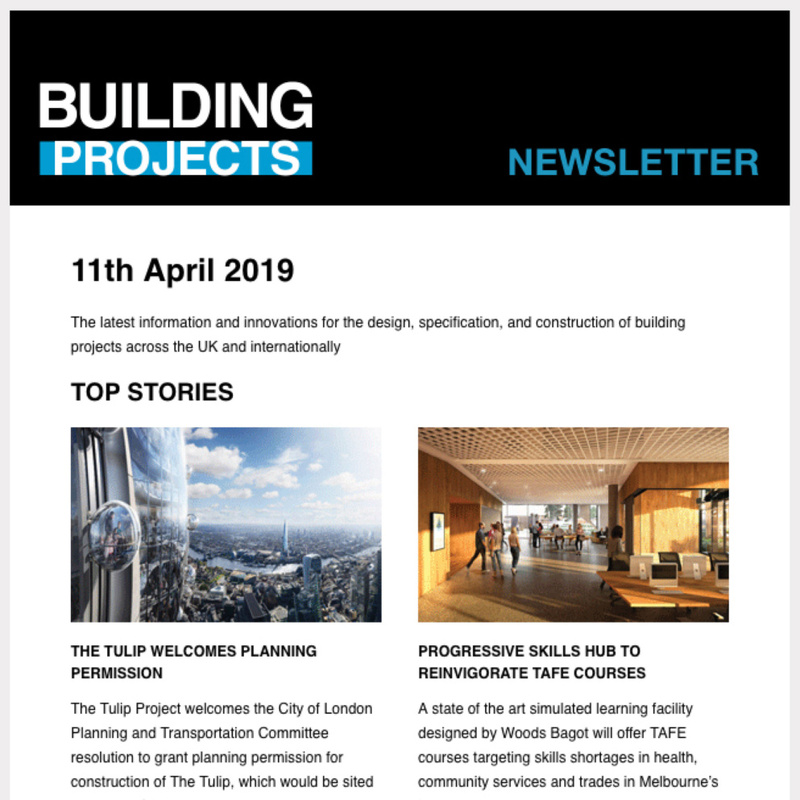 Woods Bagot principal Sarah Ball said the project team drew on the firm’s expertise in education, workplace and hospitality design in its design of the Sunshine Skills Hub. Intending to actively contribute to the surrounding neighbourhood, the design team has adopted a community conscious approach. As a result, the new facility will create new and dynamic spaces around the building and improve the surrounding public greenery. Aiming to retain as many significant trees surrounding the site as possible, the design fulfils 5 Star Green Star environmental standards. The sawtooth concept for the building facade will help maintain internal thermal comfort and reduce the need for air conditioning. It also provides an industrial aesthetic and historical reference to the harvester work factories once characterising the suburb. 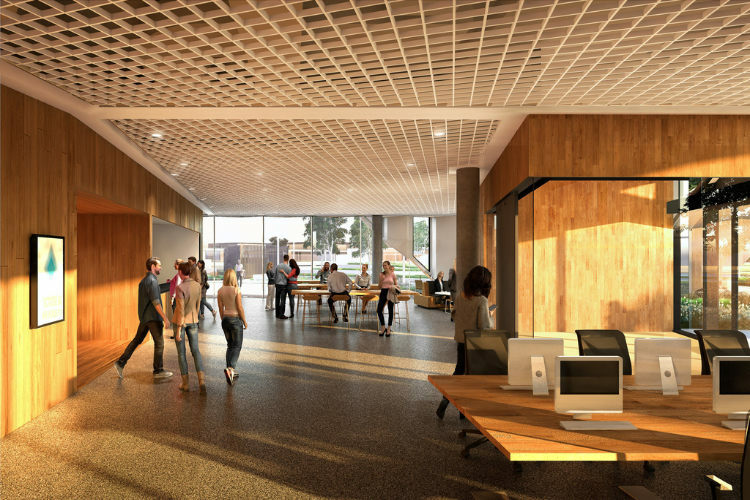 Funded by Victoria University, the Victorian Government, and the Ian Potter Foundation, the $35 million learning facility is expected to reinvigorate TAFE delivery. 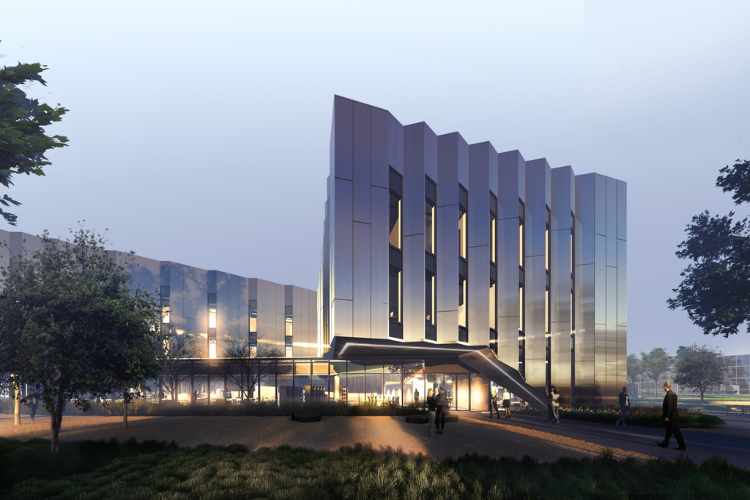 The building is under construction and slated to bring a new face to Ballarat Road by December 2019.